The nonpartisan Commission on Presidential Debates (CPD) revealed Friday the moderators for the three presidential debates between Hillary Clinton and Donald Trump, along with the moderator for the single vice presidential forum between Tim Kaine and Mike Pence. NBC News’ Lester Holt will moderate the first presidential debate, scheduled for Sept. 26 at Hofstra University in Hempstead, New York. According to the CPD, the debate will be divided into six segments of about 15 minutes each on major topics to be selected by the moderator and announced at least one week before the debate. CBSN anchor and CBS News correspondent Elaine Quijano has been named the moderator of the vice presidential debate, which will take place on Oct. 4 at Longwood University in Farmville, Virginia. It will be the only veep forum between Democratic Sen. Kaine of Virginia and Republican Gov. Pence of Indiana. Quijano will be the first anchor of a digital network to moderate a national debate in a general election campaign. In the vice presidential debate, the time will be divided into nine segments with about 10 minutes of discussion on each topic, and the moderator alone will determine the questions to be asked. CNN’s Anderson Cooper and ABC News’ Martha Raddatz will ask questions of the candidates in the second debate on Oct. 19 at Washington University in St. Louis, Missouri. This debate will take the form of a town hall meeting, where half of the questions will be posed directly by participants. The other half will be asked by the moderators. Town hall participants will be uncommitted voters selected by the Gallup Organization. “Fox News Sunday” host Chris Wallace will moderate the third debate on Oct. 19, which will be held at the University of Nevada-Las Vegas campus. 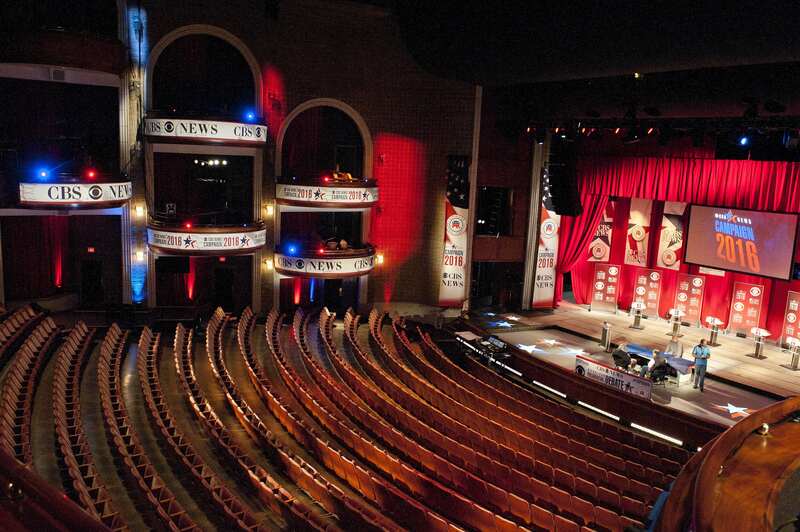 The third debate will take the same format as the first forum.